Presbyterian Women (PW) is an independent organization within the Presbyterian Church (U.S.A.) of more than 300,000 women. 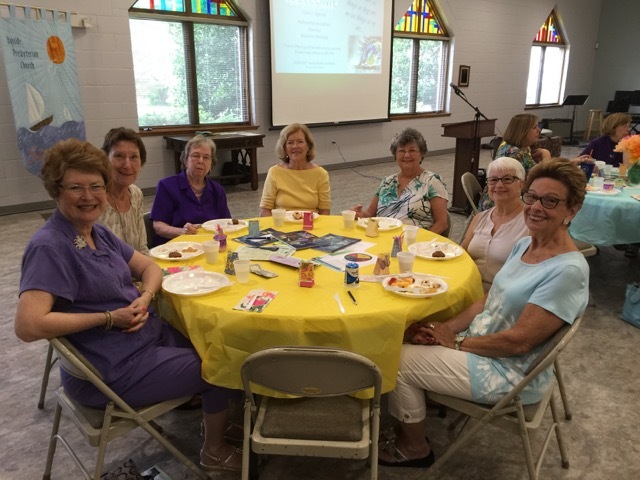 PW offers women in the church meaningful ways to live out their faith in the midst of a caring community of women. Through monthly small groups (Circles) we strive to deepen our relationship with Christ and each other. We are committed to nurturing, prayer, supporting the worldwide Church and standing as witnesses to God’s promise. We offer six different Circles, each with its own distinct personality and meeting times. A short description of each is listed below. All of the Circles meet from September through May. If you are interested in joining a circle, please contact Amanda Long at amandalong328@gmail.com or any circle moderator or PW Officer. You are also welcome to attend any circle meeting without joining first. We would love to have you with us!